Vibrant colors with opposing reverse that shows well. 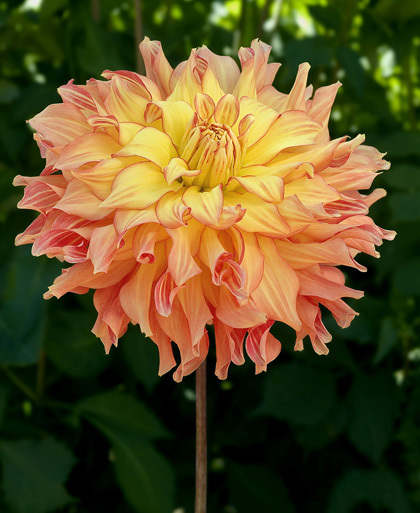 Classic informal ruffled form. Good substance and prolific bloomer.